Rock Mecca “Prizefights” #1 Hip Hop Record on College Radio! 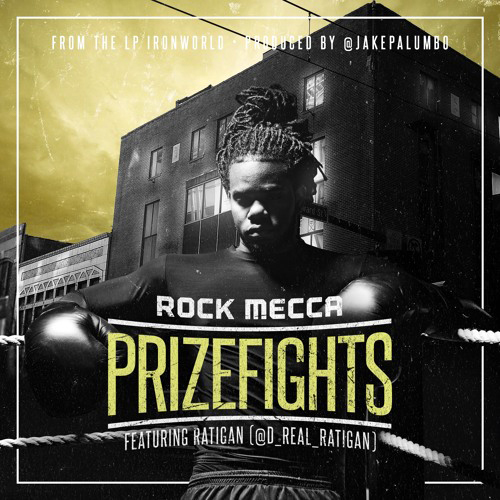 Rock Mecca “Prizefights” (Prod. By Jake Palumbo) #1 Hip Hop Record on College Radio! Many thanks to Nasty Nes at RapAttackLives.com, RapNetwork Record Breakers Record Pool, and all the reporting DJ’s who have contributed to the success of Rock Mecca’s single “Prizefights” (Produced by Jake Palumbo) which reached #1 on the hip hop charts at College Radio this week! Rock Mecca is prepa ring his sophomore LP Ironworld for a fall release. Ironworld will be released through independent label Rebel Vein Entertainment & is entirely produced by Jake Palumbo & features guest appearances from Canibus , Vast Aire & more.